Cre8tor.App breaks down barriers and empowers anyone & everyone! No matter where they live, no matter how much money they have! 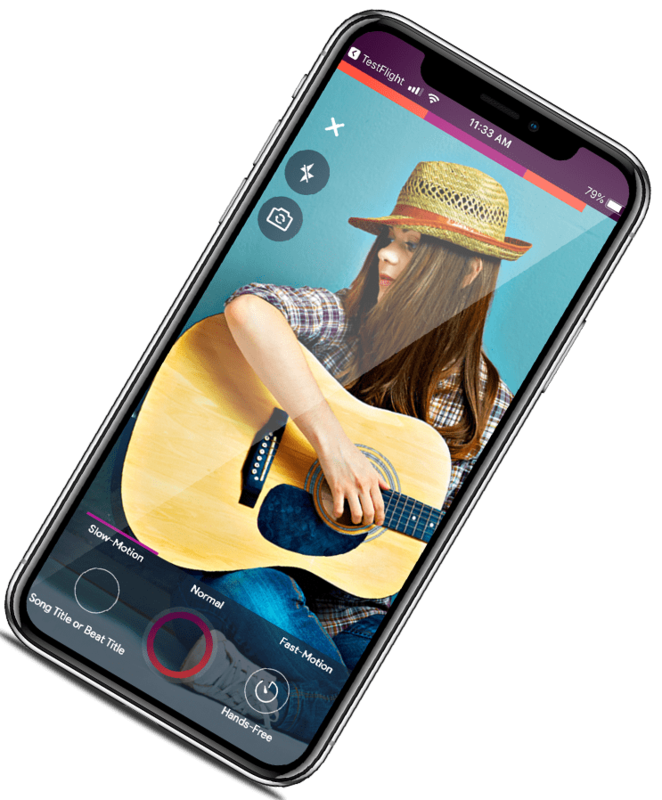 The ability to awaken your inner musician is now in the palm of your hand! Aspiring artists finally get the opportunity to collaborate with some of the best music producers in the world. Producers such as Will.i.am, Timbaland and too many more to name! One button functionality. Writing Pad, Multi Track Recording and Simple Mixer. All the tools you need to create a hit! Intuitive interface so artists can spend more time being Cre8tive! 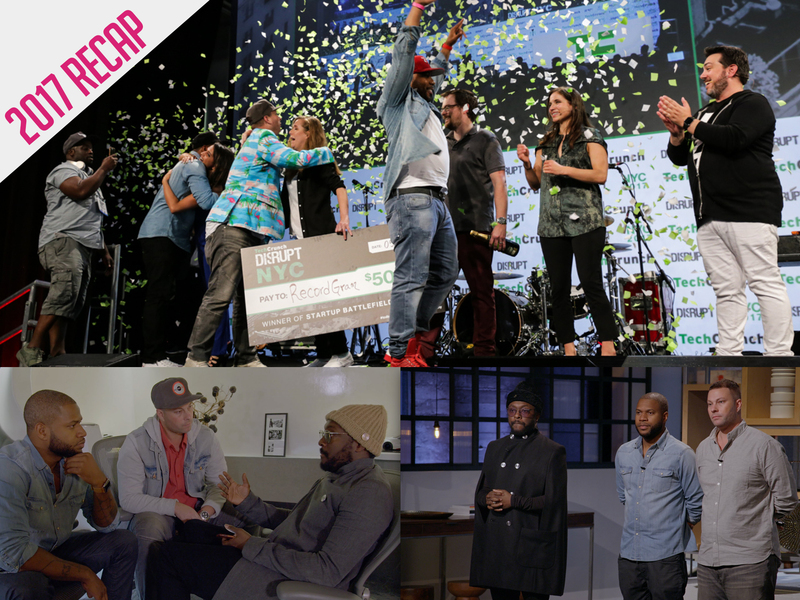 We partner with Major brands such as iHeart Media and Major artists like Wyclef Jean to give aspiring artists the chance to win life changing opportunities! Do you want to make money from your productions? Sign up now and become a Cre8tor.App producer! Create a profile, upload your beats, and start making money! It’s really that simple! Here at Cre8tor.App we provide quality producers and great beats! We provide the recording studio, and a user friendly platform. All you have to bring is your talent! Bring the talent and you WILL BE HEARD! Industry Professionals, A&R's, Managers, and Record Label CEO’s are all behind Cre8tor.App! Get on & Get discovered today! Will my songs come out "Studio Quality"? No! Not studio quality! Sometimes Better! While there are no $1,000 microphones or Neve compressors here and you are recording directly into your phone or tablet using the mic installed in your device. I must admit, there are artist recording songs on Cre8tor.App right now that sonically sound better than some of your favorite songs currently playing on the radio. The beats in the app are high quality and the vocals are as clear as speaking to someone on a phone call! We sprinkle a little reverb, delay & compression on top and your Cre8tion is complete! Are there really Grammy Winning Producers on Cre8tor.App, if so, why?? Absolutely! There are multiple Award Winning Producers (Grammy, Billboard) on Cre8tor.App This is due to the relationships the founders of Cre8tor.App have accumulated in the Music Industry! Also, these top Producers are always looking for the next Justin Bieber or Drake! And this is where they will find them! But if you’re looking for a new or different sound, there are also plenty undiscovered producers on the platform that sound just as good as the award winning ones! Our vision is to help the up and coming producers & underdogs, by strategically placing them next to the established, award winning ones! How can I get discovered? You’ve come to the right place! Download Cre8tor.App for FREE and start collaborating right now! Write your songs, record them and be sure to make creative videos. The videos will get you attention faster than just a song alone. We are living in a visual world! Create a hit, and we will be contacting you soon! There is a team of 30+ A&R's here at Cre8tor.App We will not miss you! Do I have to make songs? Can I use the app for anything else? Cre8tor.App was created based on the idea of artists and producers having a platform to collaborate and make songs. But you can do so much more! There is a lyric pad, so you can jot down ideas with melodies. You can also shoot videos without a beat if you like. That means you have the freedom to record anything you like! (Comedy skits, Speeches, etc.) You can even load a beat and make a dance video! The possibilities are endless! Cre8tor.App is a great all-around tool for Cre8tives!! What makes Cre8tor.App different from its competitors? I've seen a few recording apps. Well quite frankly, anyone can develop a recording app. What Cre8tor.App has over it's competitors is the team behind it! 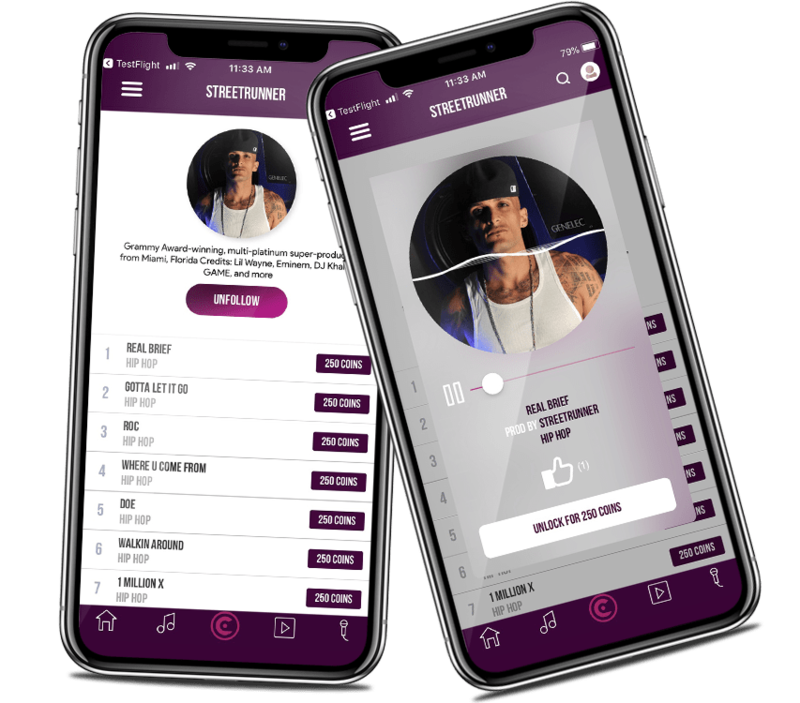 With over 20+ professional years in the music industry, the Cre8tor.App team has strong relationships with some of today's Biggest Stars, Top Record Labels, Brands, Publishing Companies, Managers, and Entertainment Attorneys! These are relationships you cannot buy and we have plenty! So what does this mean? This means, when we find you, we can EASILY get you in front of the right people to take your career to the next level! We also frequently hold major contests with our affiliate brands/artist. Our contests are one of the easiest ways to get in front of millions of people and potential fans! Have anyone ever been discovered through Cre8tor.App? YES. Stay tuned! Big announcements coming soon!! Artists are using Cre8tor.App Worldwide!